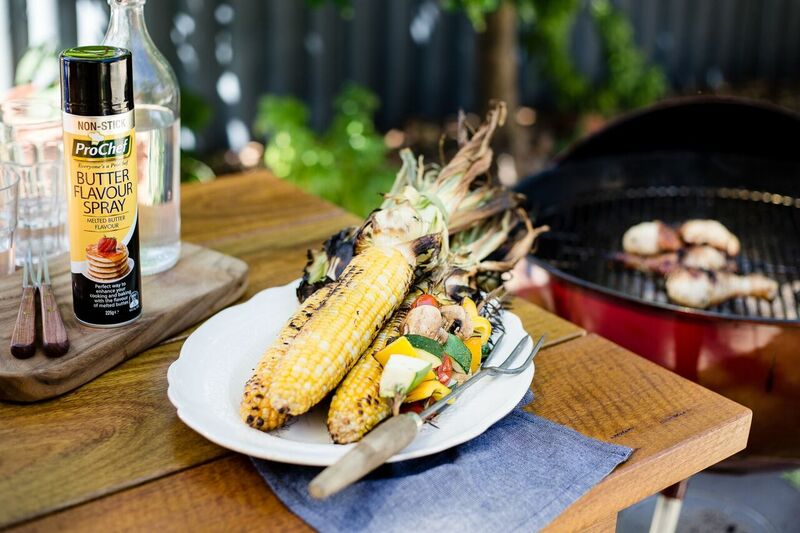 No Aussie barbecue is complete without cooking oil and it is often tricky picking which ones are better for you. This summer ProChef has taken the guesswork out of oil selection with its delicious and healthy new offering – Butter Flavour Spray. It’s all the goodness of canola oil with an amazing buttery taste. And when you think barbecue and butter-you think corn! Just a light spray on corncobs will take their flavor to the next level. Imagine being able to enjoy the buttery flavor of barbecued corncobs without the guilt. It is perfect for summer entertaining-easy, tasty and healthy. Corn is fresh and cheap in the supermarkets this time of year, so it makes great sense to have it as a scrumptious side dish at your next barbecue. When something is high in monounsaturated fats instead of saturated fats like butter and cheese, it can help reduce “bad” LDL cholesterol levels and lower your risk of heart disease. Canola is the richest cooking oil source of alpha-linolenic acid, an omega-3 fat that has been linked to heart health. Having a high smoke point means the temperature at which oil begins to smoke. When it does, disease-causing carcinogens and free radicals are released, so you should avoid oils with a low smoke point on the barbecue such as extra virgin olive oil. It’s not limited to the barbecue either. A spray in baking tins means nothing will stick except the amazing buttery flavor. Cakes, slices and biscuits will simply slip out of the tin with that bonus taste of melted butter. 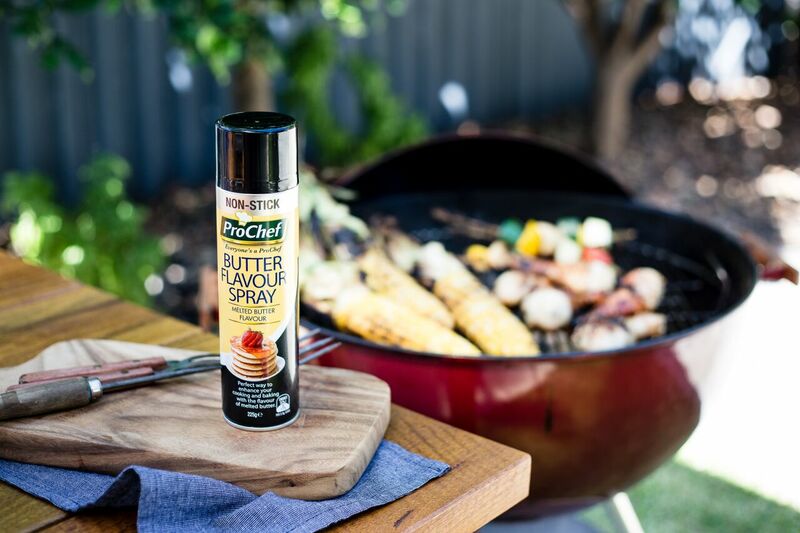 ProChef Butter Flavour Spray is perfect for professional and home use. It is not as expensive as some other oils on the market and is certainly much healthier than many of them too. All the flavour of real butter without the saturated fat. 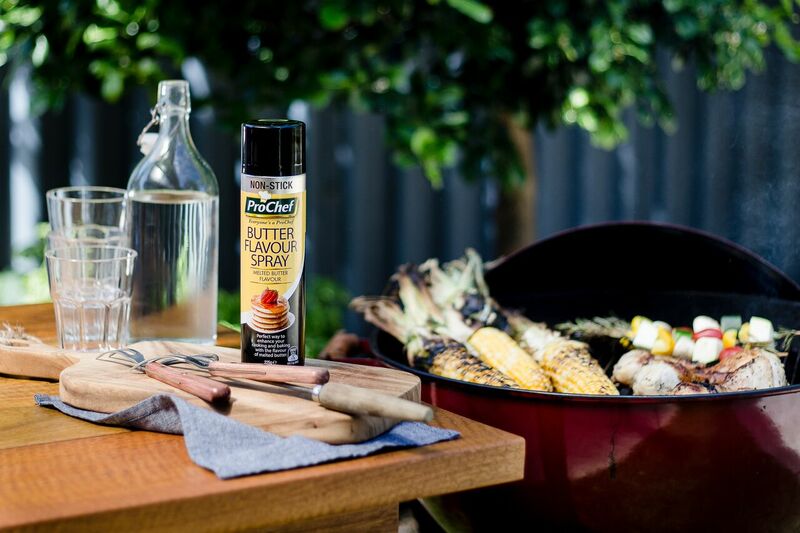 ProChef Butter Flavour Spray ticks all the boxes so be sure to have a can handy at your next barbecue. 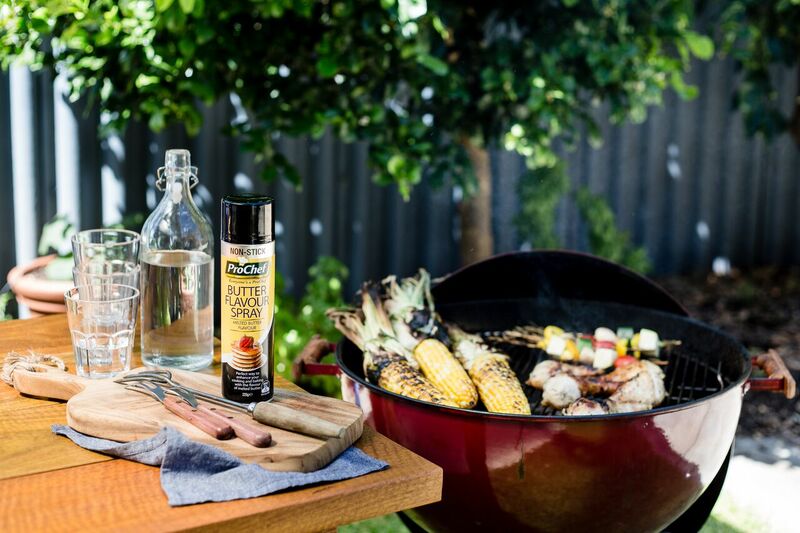 ProChef Butter Flavour Spray is available in all Coles supermarkets.